RDP houses in the province transferred to beneficiaries less than eight years ago, which have been sold by their owners, will be confiscated and given to the needy, says Housing MEC Bonginkosi Madikizela. 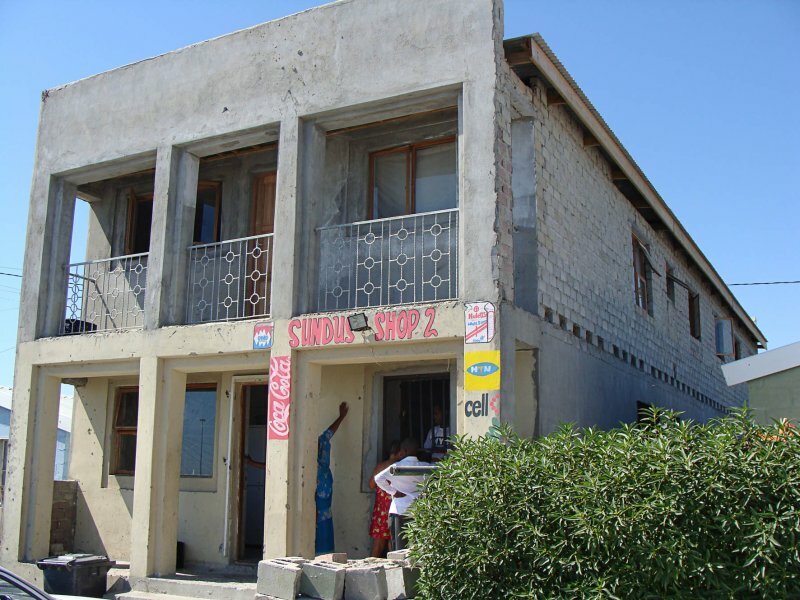 Location specific audits have revealed that in some cases, as in George, up to 90 percent of RDP houses have been sold by beneficiaries, and a visit by former housing MEC Richard Dyantyi in 2008 revealed that up to 60 percent of RDP houses in Du Noon had been sold or let. But Madikizela said the Housing Act stipulated that the RDP housing beneficiaries were not allowed to sell their houses within an eight year period, and his department was to audit the 101 000 housing subsidies granted since 2002. “The houses that are returned to the Department in terms of the pre-emptive right clause (in the Housing Act) will be reallocated by municipalities to qualifying people in terms of the relevant criteria,” said Madikizela. But he said the magnitude of the problem had to first be determined. To this end his department was busy drafting terms of reference to appoint a service provider to analyse the status of all state-funded housing projects. He said the survey to be conducted by an appointed service provider would also establish how many title deeds still needed to be transferred to beneficiaries and, where title deeds had not been handed over, what the reasons for the delay were. In Du Noon residents were scared to speak about the sales and ownership of RDP houses, saying they feared being killed if they spoke out about what exactly was happening. Community leader Madlomo Ndamane said the sale of RDP houses was “a hot business” in the township. She said beneficiaries sold their house, and then once they had spent their money, tried to reclaim it. She also said there were people who were approved RDP house beneficiaries, but never occupied their house, suggesting that money could have exchanged hands and other people were given the houses instead. Land acquisition specialist in the city’s housing directorate, Marlize Odendal said in many cases the occupants of RDP houses were not the official beneficiaries, which made it difficult for the city to issue title deeds. A senior city official in the housing directorate, who did not want to be named as he was not sure he was allowed to speak to the press, said the process of issuing title deeds in Du Noon was suspended last year as city-contracted workers received death threats from residents. Blaauwberg sub-council chair Heather Brenner confirmed that city efforts to investigate “approved beneficiaries” of RDP houses in Du Noon had been continuously disrupted by people who did not want the project to move forward. Brenner said of about 1000 RDP houses in Du Noon, half of them had been investigated and were occupied by official beneficiaries, but the remainder were unknown and under suspicion because residents there had threatened city contractors. I WOULD LIKE TO KNOW HOW WHERE AND TO WHO I CAN SPEAK TO ABOUT A RDP HOUSE. IF YOU CAN HELP ME WITH A NUMBER I WILL APPRECIATE IT. Mom married to another man and passed away,few years back.Im the only child she had,and I will like to change the tittle deed to my name.My step father stays somewhere in Emerlo and dont know where.I cant accupy the house peacefully because my aunt keeps on bringing tenants with rusty shacks in my yard without even consulting with me first. Please help me because wherever I go they say I must bring my stepfather with me and I dont know where he is. ITS DISGUSTING THIS GOVERNMENT CANT GET THERE ACT TOGETHER AND SUPPLY THEM WITH TITLE DEEDS. FOR GOODNESS SAKE THEY KNOW THE PERSON WHO OWNS IT, ITS ON COMPUTER . SO JUST GIVE IT.WHY WAIT 10YRS FOR GOODNESS SAKE. THE GOVT GAVE THEM THE HOUSE, SO WHY SHOULD THEY WAIT. WHO IS SITTING BEHIND THE COMPUTERS WHO DONT KNOW WHAT THEY DOING ?? THEY SHOULDNT BE THERE THEN. my mother pass away,im looking for her title-deed.ID NUMBER.4610040385082.Margaret Mala.I’M her son Christopher Mala.Please help. I suggest you make enquiries at the deeds office in Plein Street. It’s adjacent to Parliament in the CBD. Hi can you please help the community of Motherwell n.u.12b Ward54 ZoneD we are always told houses will be built&the money’s being signed true but it never happened only the house in new areas are being built with street&everything but they come after n.u12 please help. Hi im looking for RDP house to buy My mother in law past away so our father inlaw he want us to go out from the house and we have furtnitures or even to rent .Please help.With respect . I’m afraid we are not in the business of selling RDP houses. However, I know there are legitimate estate agents operating in the townships, I suggest you try them. My uncle is going back to KZN because he is very sick & wants to leave the house to me, his child doesn’t want the house because of the area we are in, she also has a house of her own. please assist what is the correct procedure to do this. Is it legall to sellor buy a RDP House ? I would like to know where I could find out if my granny’s house is out or not. She aplied for the house in 2004 and up until today she has not being given her house. We went there several times and we told that she is still on waiting list is this possible? I have a problem, we apply for a house title for a long time its about 3 years now the title has in come out yet. I`m not sure if its the lawyer or its were the title made. Hi can u pls help me my father had an RDP house after few years I heard that he sold it to someone else but when I go to municipal offices is still in his name, he is now staying on the street bcoz that lady to me that despite the name has changed or not she will stays and when I was investigating she bought from my alcholic father for only R2000,00 where can I go for help coz now she is threatining my father. my maid would like to build an extra 3 bedrooms on to her R.D.P. house for her adult boys and for when her grandchildren come to stay. I would like to buy a book on how to build these extensions according to south african standards. Also would one be able to turn a 3 roomed R.D.P. house into a double story there by saving on using up the ground around the house.In other words build up not out. I had a stand in kenana Village in Hammanskraal. Due to old age and sickness I had to relocate closer to my relative in Limpopo where I can be taken care of. I once applied for and RDP house and it was build in my yard next to my old house more than 10 years ago. 1. Will I be legally able to sell my stand and house to a relative? 2. Will he be able to change the tittle deed even when I am gone since they are still not out yet due to a disagreement between kiosk kerala and Tshwane Metropolitan Municipality? 3. When is the Tshwane Metropolitan Municipality solving the issue of Hammanskraal kerala Village and Mandela village tittle deeds issues? Hi I have 2 children their father passed away in 2013,and family took everything, we were not married, we don’t have even a place to stay now,I register for rep house last year,and I’m working temporary jobs at same time I must pay a rent,where can I go for help,if people they say it can take 20 years to get rep house. i am noemsie in mpumalanga and i dont know what to do and who to talk to i was looking for help am 23 looking after my 6 year old sister and grandmother we stay in a RDP mother was placed in 9 years back the house was not my mothers house due to applying but her name never came out we have stayd in this house for more than from 2009 my mother passed away last year in June and a lady who knows how my mother got to stay in the house and owns a print out of the rdp houses gave me an incorrect number of the house winch i have proof of .she does not want to give me the hours number and she trengthens my gran mother when am not around saying that we we have to move out there is roomers that she sells houses and along with other form this place and housees people that i have spoke to advised me to get help from the municipal i dont know what to do i just started working now recently and i dont get time to move around and i had to leave my studies at tut because of this women because i left my grand mother by her self and i took my sister with me to Pretoria but i couldn’t because this women is putting my life and grandmother 73 in a my sis 6 on the street my grand mother was working on farms and m mother was the one supporting after my gran got pension my mother rented a place for her but when she left us i went to take her to come stay with us but now i dont know what to do we live with our clothes and all our stuff in boxes because of this women soand dont see the use of unpacking if some one will tell us to leave .the thing that bothers me we have been staying here for 8/9 years and the owner never appeard to claim their house .